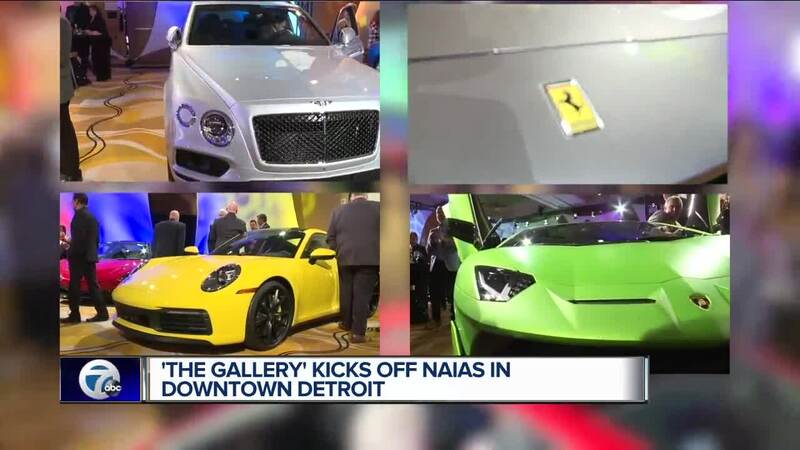 DETROIT (WXYZ) — Saturday night kicked off the start of the North American International Auto Show with a view of luxury cars. The MGM held “The Gallery” event, with around $10 million worth of luxury cars all in one room. Some featured brands include Aston Martin, Bentley, Ferrari, Lamborghini, Porsche and Rolls Royce. Joe Hodges and his friend, Ed Buckley, say they come to “The Gallery” every year. This year, Hodges flew from Germany just to be at the event. “You get to dream a little, you get to fantasies about what you want and then maybe even make a purchase if you dare,” said Hodges. “If you are car enthusiast there is nothing better than coming to this event,” said Buckley. This year, the focus of luxury cars shifted towards SUVs. “In this room now we’ve got 29 vehicles and 9 of them are SUVS so we are talking about bold, powerful luxurious cars that aren’t two seaters, that can actually hold a family of five and get out on the road and move,” said Bob Caza, producer of the event. Ticket sales go toward 11 charities for children.